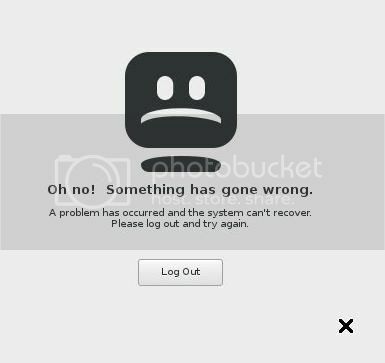 VNC Tight List - "Something has gone wrong"
Hi, new to the list and getting that message when connecting to my Acer laptop running Debian 8 from my Thinkpad running Debian 8. 28/05/16 07:16:06 All Rights Reserved. I created /home/user/.Xresources but the log file is the same other than no longer that file not found. I have a raspberry that I have no issues connecting to from my Thinkpad. Anyone have any idea what to check next? I need some help with this. I've installed a standard TightVnc for Windows 7 computers and it works perfectly, no problem what so ever. But I can not stop the program from starting automatically on the host computer. It runs all the time, and yes I've used MSCONFIG to take it out of the startup???? Do I have a problem or need to re-install the program? I will be starting and need to start the program manually do not and can not have it starting automatically. Is there a service or process in task manager that I need to stop from running or what do I need to do to resolve this? Please help me and let me know. Go to services.msc and find the TightVNC Server, right click, go to properties and change the startup type to manual. If you did a full install and allowed VNC to create menu items, then under "All Programs" you will see the entries as in my screen shots. You can use these to setup, start, stop, etc the VNC Server. By default VNC Server is setup and running as a service. Stop the service. Unregister the Service. Then use VNC Server in application mode when you want VNC Server to run. If you want it to run as a service again, simply register the service and then start the service. Would just setting the service to start manual, or disabled, be sufficient? > run as a service again, simply register the service and then start the service. >> and change the startup type to manual. >> start the program manually do not and can not have it starting automatically. >> or what do I need to do to resolve this? Please help me and let me know. Auto Start as a Service -OR- Manual Start as an application. I have never tried using the application method when the Service Mode is Stopped. If you have Service mode set for Disabled, then neither version may run correctly. run as a service again, simply register the service and then start the service. and change the startup type to manual. start the program manually do not and can not have it starting automatically. or what do I need to do to resolve this? Please help me and let me know. >>> service and then start the service. Scriptable even. 'net start tightvnc' or 'sc /start tightvnc' IIRC. 'techy' and should always be correct. > version may run correctly. >>>> go to properties and change the startup type to manual. >>>> I hope that helps.